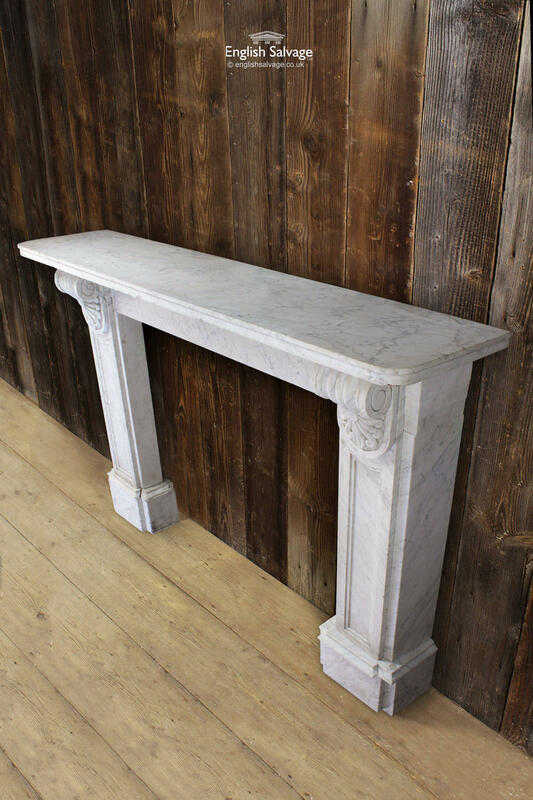 Antique statuary marble fire surround reclaimed from Chatsworth House Estate. 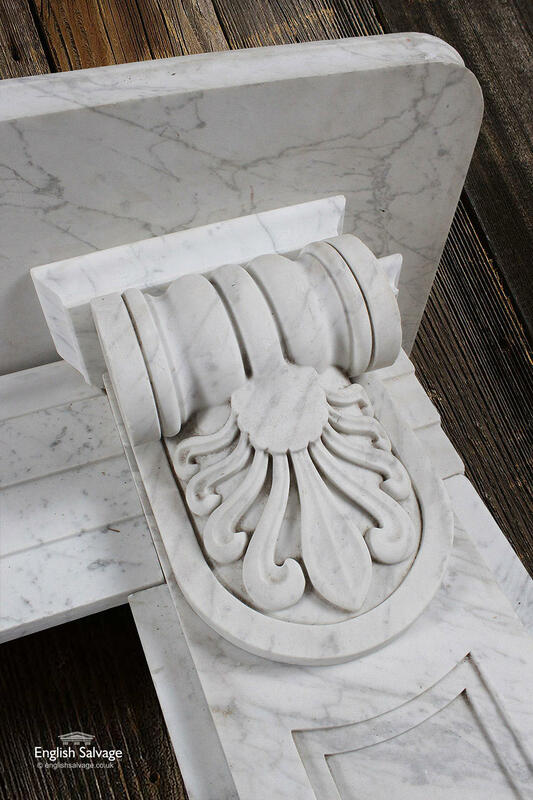 Probably designed by Sir Jeffry Wyatville (circa 1830). 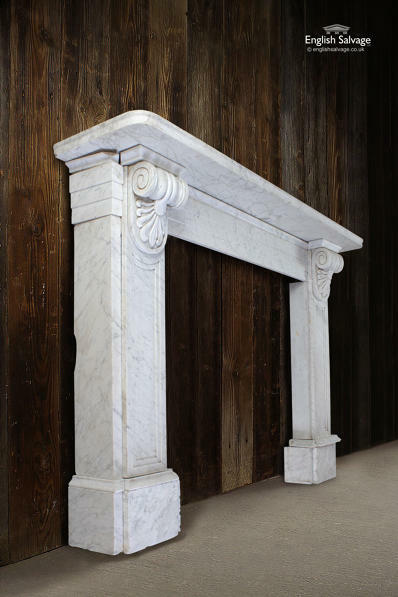 Large shaped mantelpiece supported by pilasters headed by scrolled volute brackets ending in stylised anthemion, with conforming rectangular white marble hearth stone. 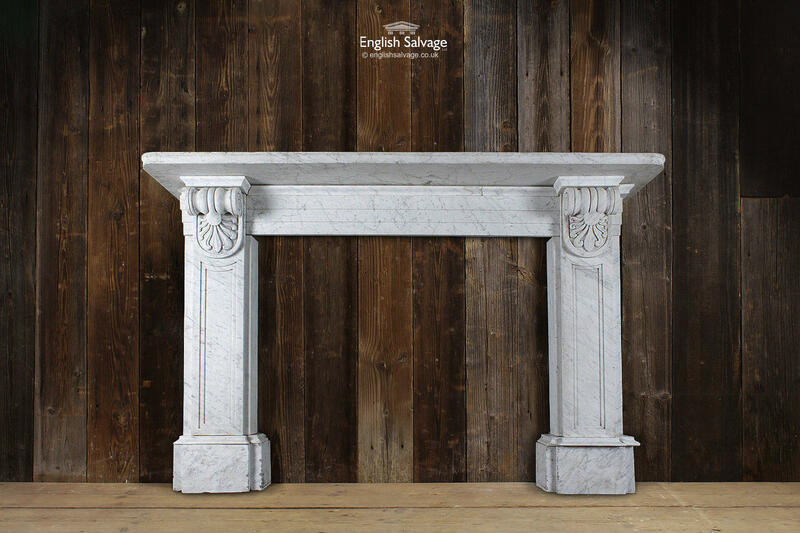 This white marble chimneypiece is identical to that installed by the 6th Duke of Devonshire in the Flower Room at Chatsworth. 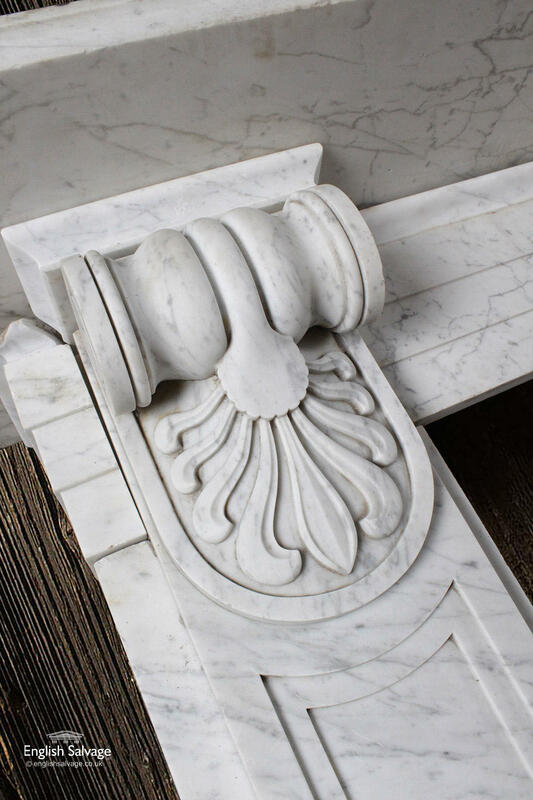 The "stepped" frieze and boldly scrolled volutes with anthemion relate to other non-grec motifs seen in Wyatville's work at both Chatsworth and elsewhere. The mantel is 181cm wide x 38cm deep x 4cm thick, the opening is 112cm wide x 100cm high and each leg is 24cm wide. The surround has been put together from its component parts for photographing.